Garibaldi's Needle Works Hand-dyed Embroidery and Cross-Stitch fabrics. Don't forget to use your Loyalty Reward Points! Every fabric you purchase earns you a set amount of reward points. These points can be used towards your next purchase. Purchase, stitch, purchase again and save! To check the Loyalty Reward Points you have available, click on "My Account". Under "Other Features", click on "My Rewards". Each and every fabric goes through our exclusive dying process at the time your order is placed. All fabrics are dyed by hand and go through our trademark, 14 step process. The strictest of quality control measures are applied before being approved as embroidery quality fabrics. Please allow 7-14 days for your fabric to be mailed to you. Returned merchandise is subject to a 10% restocking fee. Returned hand-dyed fabrics are subject to a 20% restocking fee. Other great websites to visit that will feed your creative side! 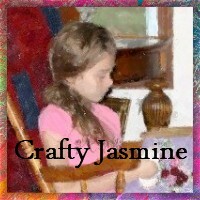 of quilting supplies and kits!